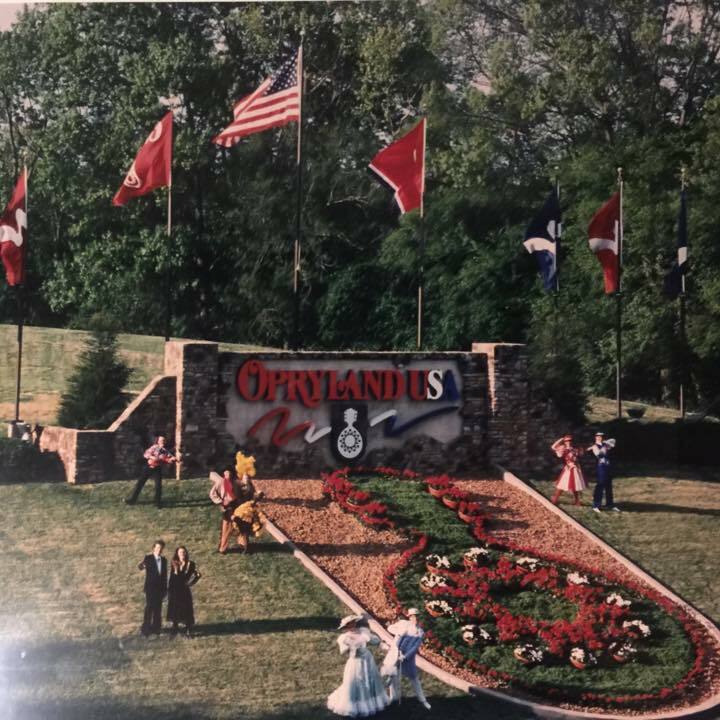 The former Opryland USA theme park in Nashville, Tennessee, has always held a special place in my heart. 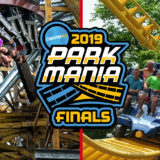 It was one of the first parks I visited, and it undoubtedly sparked my interest in and passion for roller coasters and the amusement industry. The park seemed so grand to me with its towering rides, immaculate theming and beautiful landscape. After my one and only visit to Opryland USA in 1997, years passed before I learned of the park’s demise. It was razed following that 1997 season to make way for an outlet mall (or rather the parking lot for an outlet mall). They literally paved paradise and put up a parking lot. But Stephen W. Phillips, author of the “Opryland USA: Images of Modern America” book, doesn’t dwell on the park’s untimely end. 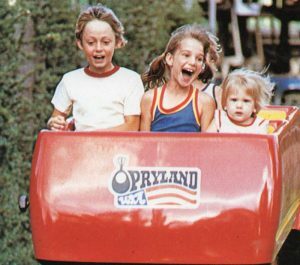 Rather, he provides a beautiful photographic, in-depth history of the theme park that celebrated family fun and Nashville’s rich musical heritage. Some background: Opryland USA opened in 1972, attracted millions of visitors each year and gave many up-and-coming musicians their start in show business. But music wasn’t the only attraction. Opryland USA was home to nine themed areas, six roller coasters, dozens of rides, restaurants, shops and more — on top of the Broadway-caliber shows with live bands and orchestras. 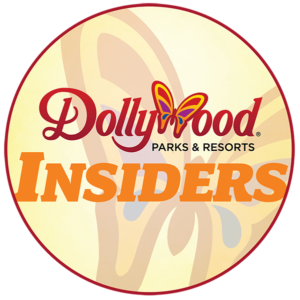 “As the Home of American Music, Opryland USA still lives on in the hearts and minds of those who visited its wooded trails, lazy streams, exciting attractions, and toe-tapping performances,” the book’s description reads. And after living in Nashville for a year, I completely agree with that statement. After the park’s closure, many of the park’s rides were relocated to the Old Indiana amusement park which Premier (Six Flags) planned to invest in like the company did so many other parks in the ’90s. Two of the park’s six roller coasters still operate today. 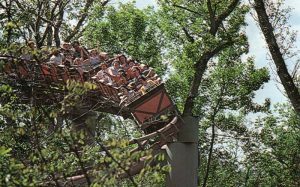 The Hangman (a Vekoma SLC) coaster now operates as Kong at Six Flags Discovery Kingdom in northern California, and Rock ‘n Roller Coaster, now known as “Canyon Blaster,” operates at Great Escape in upstate New York. If you ever visited Opryland USA, this book will almost certainly tug at your heartstrings. It’s a beautiful trip down memory lane — one filled with a diverse selection of beautiful photographs from the park’s colorful history. But it also makes an excellent gift for any theme park history fan. As I said, many longtime Nashville residents still ache over the loss of their beloved park. And with “Opryland USA: Images of Modern America,” they have an excellent book to help keep those Opryland USA memories fresh. Which amusement or theme park that closed in the 1990s do you miss the most? Enter by this Friday, Nov. 11 at 11:59 ET. We’ll randomly select one winner to win a copy of the book. 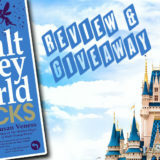 UPDATE: Congratulations to Zach who won a copy of Opryland USA: Images of Modern America! 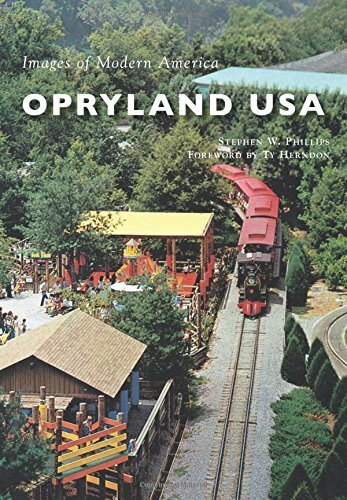 Buy your copy of Opryland USA: Images of Modern America on Amazon or at OprylandUSA.com. Opryland USA, of course. I never got to go, but I’ve paid my respects and poured one out on my last pilgrimage. Opryland USA was a great park. I don’t know that there is one that I truly miss, but if there is then I would probably say Opryland. This sounds really clichè. Disney’s Discovery Island was my favorite park. Too bad it closed,too bad. Thank you so much!!!!!!!!!!!!!!! I literally cried when I found out I won.